Why Lower Costs at the Leigh Smile Center? We believe that the cost of Dental Implants has become prohibitive for most people who are looking for an alternative to missing teeth, or poorly fitting and uncomfortable dentures. Our philosophy is that the benefits of Dental Implants should be available to larger numbers of patients. To that end, we have made an effort to reduce the cost of Dental Implants. Please see below for how we are able to do this. 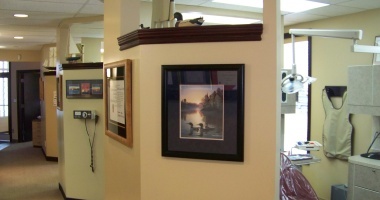 "Thank you for your interest in Dental Implants and the Leigh Smile Center (WESTLOCK). First, let me say that my full-time focus, and that of my Dental Surgical Team, is Dental Implants and related surgical procedures. It is what we do each and every day at our Center. I have been both placing and restoring Dental Implants successfully for over 35 years, and have placed and restored thousands of Dental Implants in my career. Basically, I personally feel that most Dental Implant procedures in Canada are overpriced, making it more difficult for patients to afford the many benefits of Dental Implants. 1. 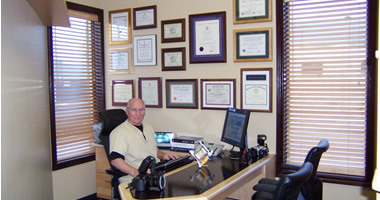 At our Center, we teach Dental Implant procedures to Dentists from all across North America (Our Teaching Website is: www.WesternImplantTraining.com). If the Dentist participants happen to be attending a Course at the time of your appointment, the they will ONLY be OBSERVERS. My Team and I do ALL the Implant Surgeries and Restorative Phases. However, we do require a constant flow of New Patients to provide our Course participants with lots of LIVE SURGERIES to observe. These Dentist participants pay a Course Fee to learn from, and watch us perform the surgeries. This helps us to keep the costs lower for our patients -- a definite benefit for you as a client. 2. We are located in a SMALL RURAL TOWN (Westlock) about an hour North of Edmonton, so our overhead expenses are usually lower than in the larger cities. We own our building and the parking is free. Our patients travel to us from all over Alberta and adjacent Provinces. Many times we have patients from Calgary, Red Deer, St. Albert, Rocky Mountain House, Peace River, Grande Prairie, and Edmonton in our Center all on the very same day. To make it worth their while to travel to our location (aside from our vast experience and friendly, relaxing atmosphere), we strive to keep our prices more reasonable. 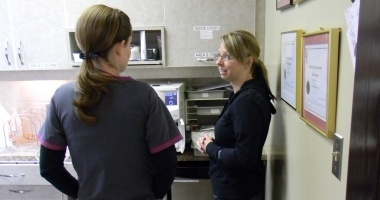 Some of our patients save thousands of dollars on the larger Implant cases by driving to Westlock. 3. We have our own CBCT (3 Dimensional Imaging) X-Ray Scanner, that allows us to diagnose Implant Cases, and carry out the Implant Surgeries with precise accuracy, utilizing Computer Generated (CAD/CAM created) Surgical Guides. 4. The original Dental Implant Patents (usually 17 years) on most major Implant Systems have expired. Most of the original Brands have been around for more than 20 years. Almost all Implants are now ‘Generic’ Models. That means we are able to purchase the Implants & Component Parts at a lower price than in the past (just like Generic Drugs), and we pass the savings on to our patients. The Implant Companies often give us better prices because we are an Implant Teaching Facility, and we pass these savings along to our clients. We are a PACE Approved and ADA+C Approved Continuing Education Center for Dental Implant Courses, so Implant Companies are continually competing for our business. 6. We use other Implants and Component parts from companies such as Nobel Procera Services, Biohorizons and Henry Schein (Infinity). University Studies have shown that, basically, all Implants are relatively the same (a Surgical Titanium Threaded Screw). There is no proven data to show that one system is significantly better than another. It’s kind of like the Automobile Industry where every Truck wins the “Truck of the Year Award”. Dental Implants have to pass rigorous FDA & Health Canada Standards to be approved for use in Canada and the USA. We love the Implant Systems that we use because of their Warranties and the ease of use with all the Prosthetic Component Parts. 7. Most Implants at our Center only take about 10 minutes or less to place ... start to finish (this includes taking Digital Photos of each step in the process). Just recently we placed an upper premolar Implant in 2 minutes and 40 seconds (start to finish) on one of our staff members. Of course, this applies to the implant placements where the patient has sufficient available bone height and ... especially ... width at the implant site. If it is a multiple implant case, such as an Implant-Supported Denture, or 'Hybrid Appliance' (such as 'All-on-4') there is almost always available bone. But that is why we have a Consultation Examination for our patients, so that we can evaluate all these things in advance. Some cases can be more complicated, but they are usually the exception. Ask us about the Alberta Health Services coverage of Implant Bone Grafting (FREE BONE GRAFTING). We charge $1,000. /per Implant. This is for the cost of the Implant Placement Surgery procedure and includes the Dental Implant cost -- all standard width and length sizes. If you are getting one Implant placed at our Center (with no Bone Grafting) it will cost $1,000. If you are getting Four (4) Implants at the same time (one time surgery) it will cost $4,000. Again, this is for the Implant Surgery procedure, including the four Implants. We can usually perform a Lower 4 or 5 Implant Surgery in less than an hour. We feel we are well compensated at these prices. The paperwork and Sterile Surgical Set-Up takes a half hour or so (my Assistants do that part). With a few exceptions, there is a one-time surgical facility set-up fee of $400 for the Implant placement. There are so many different Restorative Options for Implant Prosthetics that Fee Quotes are given on an individual basis. A simple Implant Treatment Plan would involve a single Implant and Crown scenario to replace a missing tooth, where there is sufficient available bone. For example, if you are just getting a Single Implant with Abutment & Crown it will cost $2,600. (This includes the Implant Surgery, Zirconia Ceramic Crown, the Implant Abutment / Post and the Laboratory Fee.). The Other Fees involved cover the costs of the Consultation Examination, the CBCT-Scan (a 3-D X-Ray), the Computer Generated Surgical Guide, Diagnostic Study Models, the Specialist Radiology Report, and any Extra X-rays required during treatment. These Other Fees Total $1,000. ** Single Implant & Crown includes Consultation Exam, CBCT-Scan (3-D X-Ray), Surgical Facility Set-Up Fee, Surgical Guide, Diagnostic Study Models, and any extra radiographs required, etc. THE FEE DOES NOT INCLUDE BONE GRAFTING. *** THE FULL FEE FOR EVERYTHING (Complete): $2,990. + $1,000. = $3,990. The Price for a Second (or more) Crown(s) is just $2,800. each (in the same arch, on the same surgery date). 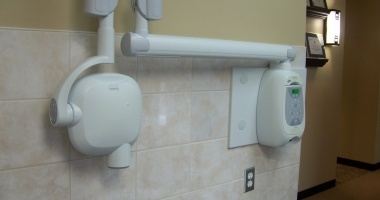 Any and all additional X-Rays taken during treatment are included in the price. If the second or more implants are in a different arch, the price will be $3,200 each for the first implant, and $2,800 for the second or more implants. If a patient requests a different Brand of Implant other than the ones we stock (we carry about $100,000.00 in Implant Stock) -- we charge an additional Fee of $300. Tip: We don't really think that this is necessary unless a patient just wants to spend extra money. PLEASE NOTE: The $100 Consultation fee and the $300 CBCT-Scan fee will be INCLUDED (credited) in the overall price if the patient proceeds with the implant placement and restoration at our Center. This represents a large saving to the patient. If not, we will be happy to provide you with a copy of your scan. 10. We believe that Dental Implants are an outstanding treatment option. They are arguably the number one method to replace missing teeth, so we have made our Fees for a Single Implant/Crown similar to, or less than, the fee for a 3 Unit Fixed Bridge (where you would have to reduce the tooth structure of the teeth on either side of the space), or a molar root canal with Crown. 11. We realize that there are higher fees for Implants being charged in other, larger Cities; sometimes by Dentists who we have trained at our Courses, or with fewer years of experience in implant placement and restoration. 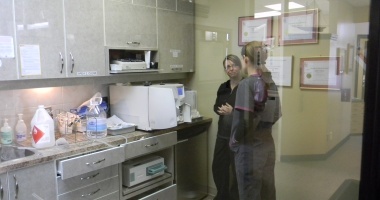 Our Fee Schedule is based on our lower Overhead Costs, and our ability to perform the procedures in a timely manner. As the saying goes: “Practice makes perfect.” And we have had lots of practice. 13. Titanium Frameworks for “All-on-4” (or 5, 6 or more Implants) and Titanium Implant Bars are usually manufactured for us -- and almost all the Dentists placing Implants in Canada -- by Nobel Procera Services in New Jersey, USA (www.nobelproceraservices.com). The Frameworks are mostly manufactured in the same location. We deal directly with this facility, thereby cutting out the middle-man fees. Oddly enough, at different dental offices there seems to be different prices for virtually identical frameworks when it comes to the Final Patient Costs. We don't know why, especially when almost all of these types of cases have to be done using Computer Generated 'Surgical Guides' and CAD/ CAM fabrication to make the Implant Placement more precise. We use Surgical Guides for all our more complicated cases, and skilled freehand placement for the simpler cases. Again, these "Guides" are all made in only a very few Planning Centers in the USA and Canada. The question then is why are there such price discrepancies in costs to the patient? If required for the procedure, we make sure our Surgical Guides are very reasonably priced, and are built into the overall price. 14. The actual cost to manufacture most Dental Implants is about $5.00 to $7.00 per unit. Most of the implants we use are made in the USA, but a lot are made in other countries. 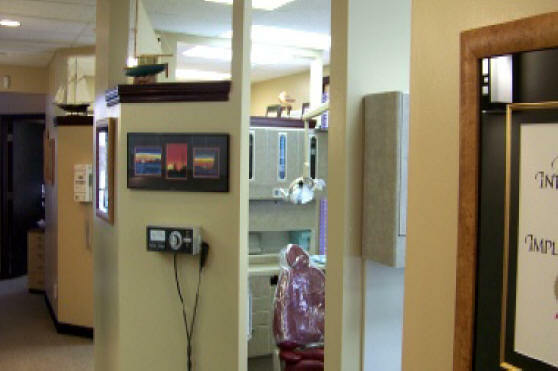 Of course, the cost to the dentist is much higher. Basically, we feel that most Dental Implant cases in Canada are generally overpriced. As techniques have improved, the procedure has become so much easier to perform in recent years. 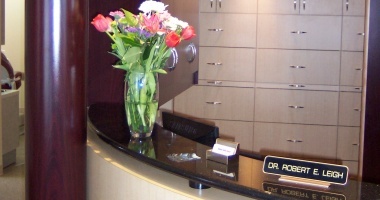 At the Leigh Smile Center we have tried to do something about lowering the costs for our patients. We hope this information helps you, and is not too confusing. If you have any further questions please feel free to contact us by phone: 1-780-349-6700 or Toll Free: 1-888-877-0737 and ask for Debra our Dental Implant Coordinator, or Delia and Michelle (our Dental Surgical Assistants). Or Email us at: staff@leighsmilecenter.com or leighsmileteam@gmail.com. Perhaps we'll see you at our office someday. We've all experienced price differences for virtually the same products. $10.00 for a product in one location is $11.95 in another location. There are many reasons that can account for these differences. 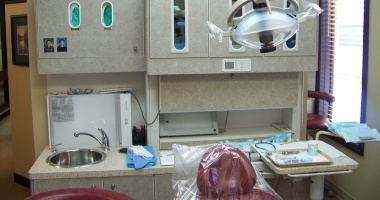 However, when examining costs for dental procedures, those differences can be in the hundreds or thousands of dollars. 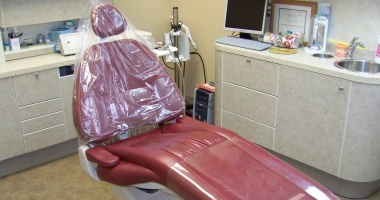 It is important then for consumers/patients to take the time to investigate what certain dental procedures will cost in different Dental Offices. 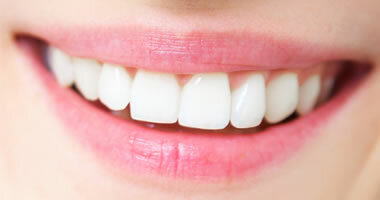 We encourage patients to always get a second opinion and to ask for a Full Fee Quote ... one that involves every aspect of the procedure prior to proceeding with treatment... as well as the Dentist's qualifications in performing that specific procedure. 1. How long have you been placing and restoring dental Implants, and do you perform both the Surgical and Prosthetic phases? 2. How many implants have you placed? 4. 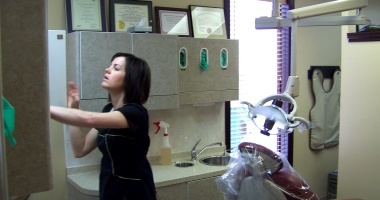 Specifically, what is your training and qualifications in Dental Implant procedures? We stand behind all our work. Some dental implants do fail; however, this is rare. At the Leigh Smile Center, we have a very high success rate. If the implant does fail, Dr. Leigh will refund the $1,000 dental implant placement fee, or replace the implant at no additional charge, within one year of placement. CLICK HERE .PDF FILE OF ALL THE INFORMATION ABOVE.